Acura continues to advance its leadership in safety performance among luxury brands with the 2016 ILX becoming the latest Acura sedan to earn a 5-Star Overall Vehicle Score from the National Highway Traffic Safety Administration’s (NHTSA) New Car Assessment Program(NCAP). The 2016 Acura ILX joins the flagship RLX luxury sedan[i] and the TLX performance-luxury sedan in earning an NCAP 5-star Overall Vehicle Score from the NHTSA. CLICK AND WATCH AUTO CRITIC STEVE HAMMES REVIEW OF THE 2016 ACURA ILX. Reimagined for the 2016 model year with significant styling, performance and feature updates, the ILX is a part of the industry’s fastest-growing sedan lineup, with Acura sedans enjoying a 28 percent year-over-year sales increase through June 2015. 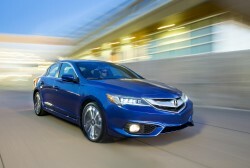 The ILX caught the attention of Edmunds.com as it recently earned the 2015 Best Retained Value® model-level award and won entry luxury comparison tests from bothAutoGuide and The Car Connection. 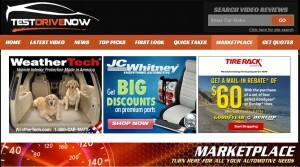 CLICK HERE TO FIND TODAY’S HOTTEST DEALS FOR ALL YOUR AUTOMOTIVE NEEDS. CLICK HERE TO GET YOUR FREE ONLINE PRICE QUOTE FOR YOUR NEXT NEW CAR FROM A DELAER NEAR YOU. ABSOLUTELY NO OBLIGATION TO BUY! 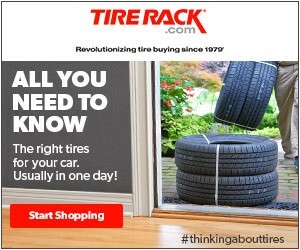 CLICK HERE TO FIND THE BEST DEAL ON TIRES FOR EVERY MAKE AND MODEL CAR, TRUCK OR SUV. SPECIAL DISCOUNTS FOR TESTDRIVENOW FANS.